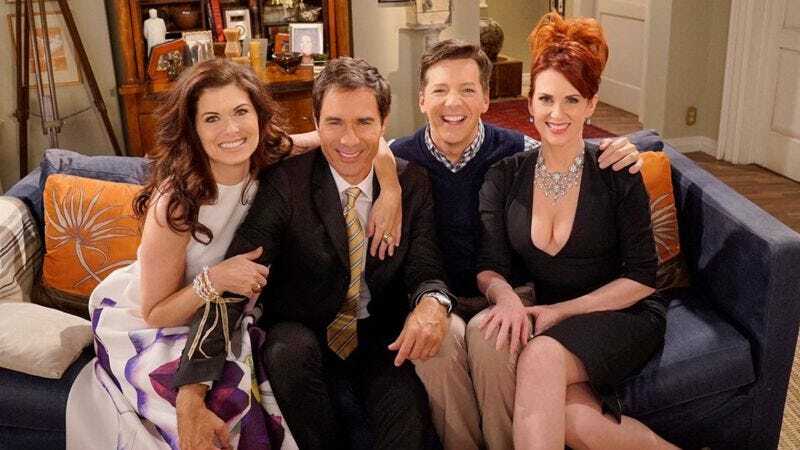 After much discussion—and possible misdirection—NBC is moving forward with that Will & Grace revival. Deadline reports the network’s ordered a 10-episode ninth season of the popular sitcom, which originally ran from 1998-2006. There were “months of complex and difficult negotiations,” and, of course, plenty of other TV projects in between for the core cast: Debra Messing was (until recently) leading The Mysteries Of Laura elsewhere on NBC, while Eric McCormack‘s been quantum-leaping about on Netflix’s Travelers. But the overwhelmingly positive response to the ersatz reunion that saw Sean Hayes and Megan Mullally join their co-stars in helping to get the word out to get out and vote probably helped grease the wheels. NBC’s gotten the whole gang back together, including creators Max Mutchnick and David Kohan. And, like The X-Files, this revival will stay put at its original network. At the time of this writing, there was no word on when production will begin.